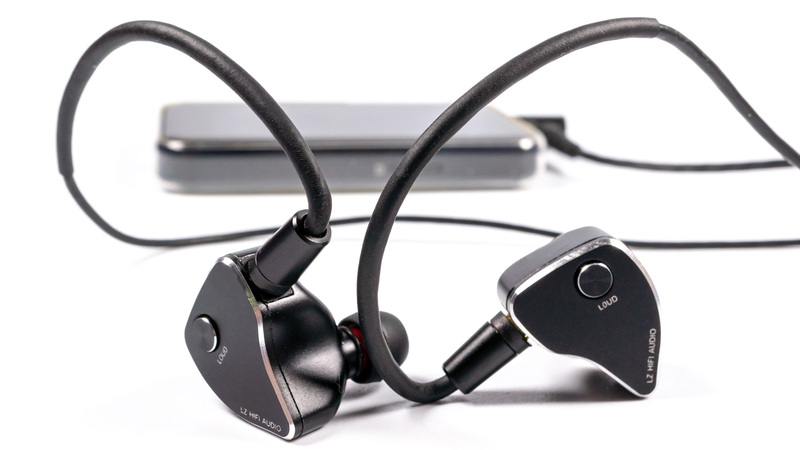 Having spent a week with these earphones I’ve found myself thinking that probably A6 is what LZ has been trying to create for few years — hybrid model, showing the best side of each of three drivers types that are used here. Yes, you've got it right, this model uses a dynamic driver, four balanced armatures and piezoelectric super twitter simultaneously. Sounds intriguing, isn't it? Before I proceed, I would like to thank LinsoulTech for providing me a review sample in exchange for my honest opinion. IEMs can be purchased in their stores on Amazon or AliExpress for about $310. Nice touch: you can choose a version with MMCX or 2 pin connector. Some time ago I already tested LZ A5, it was a nice model, featuring traditional schema: DD + few BAs, but it was a fairly ordinary model, being on par with many other hybrid models existing on the market. A6 plays in the totally different league. Creators have added a new piezoelectric driver for super high frequencies, completely revised proprietary tuning filter system and added impedance toggle, that also has a great impact on sound. This allowed A6 to make a big step forward, offering buyer new level of sound. Before I proceed to the most interesting part of my review, I’d like to devote a few words to the packaging, accessories, and design. The box is rather simple: red cardboard inside of black "sleeve" made of… you’re right, cardboard. 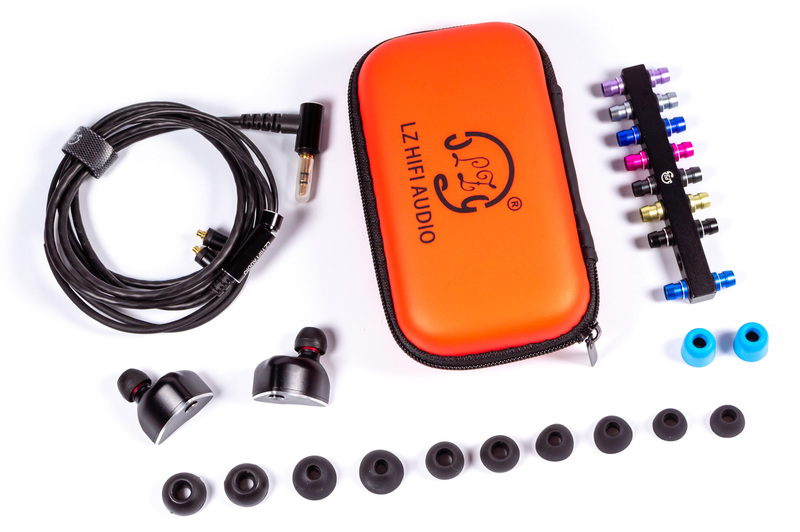 Inside you will find IEMs themselves, red storage case with zipper, cable, 6 pairs of silicone tips, 1 pair of foams, manual, warranty card and 9 pairs of filters (one pair is already attached to A6). Maybe it's not the biggest set of accessories that you may find, but it's pretty acceptable at this price range. Build quality of IEMs is really good. They are made of metal, the shape is nice and ergonomic, so it will fit the vast majority of users. Spouts are medium-sized, so sound isolation is on a normal level, but for really noisy environments it could be not enough. Earphones are made to look simple and minimal, simple black color with silver bezel, but build quality makes them look stylish and "expensive". There is the “Loudness” button on the front panel of earphones, and in its pressed condition it will reduce the impedance of A6, increases the output volume and makes the sound more "saturated". I really like this idea, as it's the most convenient way to change the sound on the go, and I'd like to see more such toggles in the future. Cable is simple, plain rubber isolation looks minimalistic, compared to other models of Chi-Fi market, but cables’ quality is good. It's soft enough, not getting hard when it's cold and has practically zero microphonic effect. Also, it looks really reliable, but of course it can be proven only over time, so let us see if it lasts a whole year. try all stock filters, in manual they are ranged from less bassy to most bassy, but my subjective listening results differed from that list, so I tried them all, and most of all I liked red and black filters, but you know, "da red goez fasta", so I ended with them. Shortly speaking, all below description is made with the stock cable, red filters and with "loudness" button pressed. General signature of these earphones is really impressive, all drivers are doing their best to showcase their strong sides. IEMs have really good coherence, bands overlaps are almost indistinguishable. Bass, represented by 10 mm dynamic driver is powerful and impactful. It's not as fast as pure balanced armature one, but the resolution is nice anyway. It's good in representing textures and nuances of the lowest octaves of instruments. Depth is also good, but in general, LZ managed to balance the quantity of bass really well. A6 has a slight accent on lows, and you can alter it with filters, but with any tuning, I may call them bass-heavy, it's just a nice, weighty bass. As an example, I can name Juno Reactor — Tempest. This composition has interesting low rumble in the intro part, swiping from left to right and vice-versa. A6 represented this effect in a really impressive way as well as all other trance beats of this track. Mids are the responsibility of 2 balanced armatures, and once again you get the best of their world: resolution, good level of micro contrast, but without being too dry and clinical. The sound has proper weight, giving all instruments realistic bodies and making vocals sound lifelike. You can tune the number of upper mids with filters, having different "flavors", from aggressive to a bit relaxed. The imaginary stage is bigger than average, A6, probably, aren't the most spacious sounding IEMs, but they are definitely on the "roomy" side of staging. The separation and layering are just nice, as well as 3D positioning. I’ve chosen Snarky Puppy's "Molino Molero" as a sample track to test this — really instrument-intense track with lots of different effects, and BA drivers of this IEMs handle that without issues. 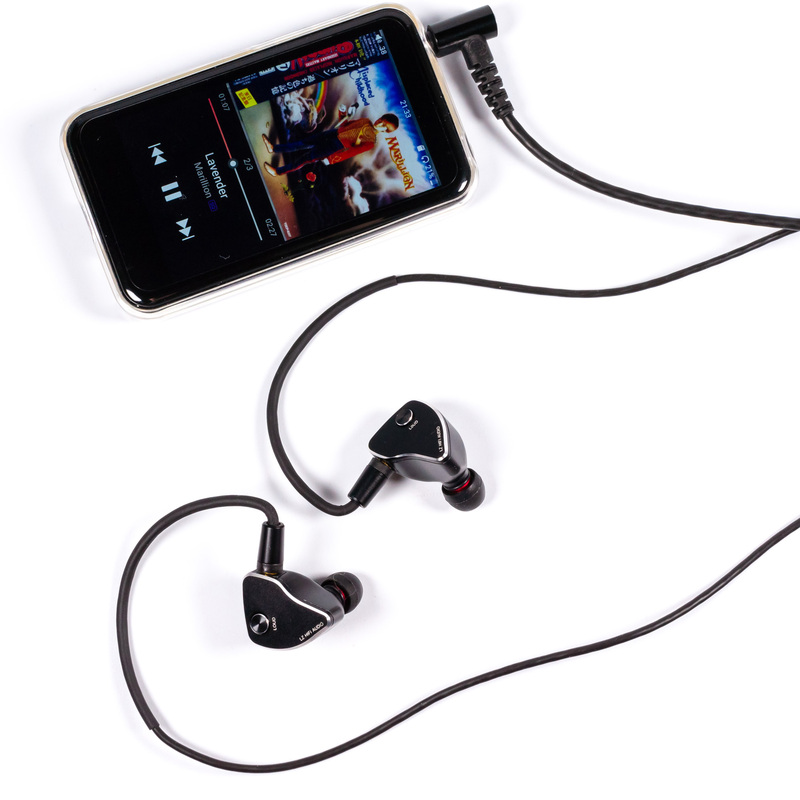 Treble is a product of cooperation between balanced armatures and piezoelectric tweeter. That gives LZ A6 a really impressive extension, combined with nice resolution and realism. 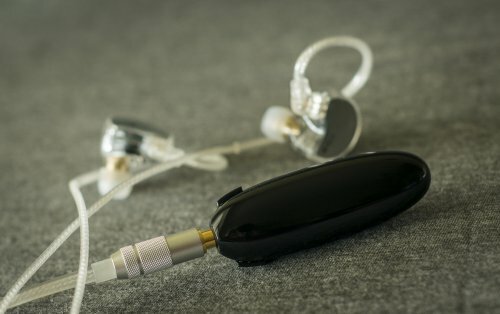 These IEM's treble goes far beyond human ear's limit, but recent scientific studies showed that people can distinguish high-res recording even without being able to hear ultrasonic frequencies, so, probably, extension beyond 20 kHz makes some sense. Anyway, properly balanced treble makes A6 a real charm in representing overtones and sounding super impressive on timbre-rich instruments. From another point of view, you should select tracks properly as the compression or other treble-related issues are represented without compromises here. Besides that, treble has a perfect amount, good resolution and realistic decays. Attacks are a bit sharper than they should be, but it's not doing any harm to the overall realism of that range. "Caravan" from "Whiplash" OST shows this all great here: it is a really cymbal-intense track that will cause many IEM to suffer from insufficient treble resolution, but LZ A6 are passing this test without any problems. FiiO FA7 and FH5 I mention these models only because they share the same price range. 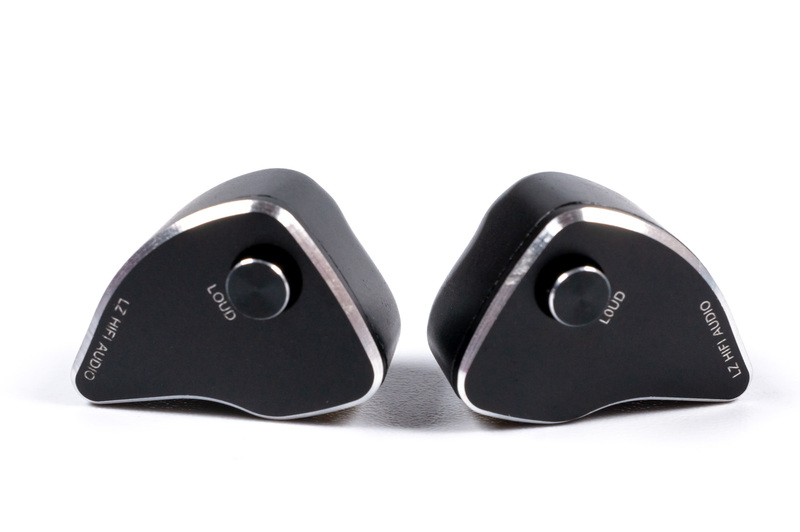 Sound signatures are quite different, both FiiO models have more bass, making them less linear in representation. Dunu DN-2000 This hybrid model is still a great offering, despite their "age": fun V-shaped signature, with a bit more accent on lows and mids then LZ A6. 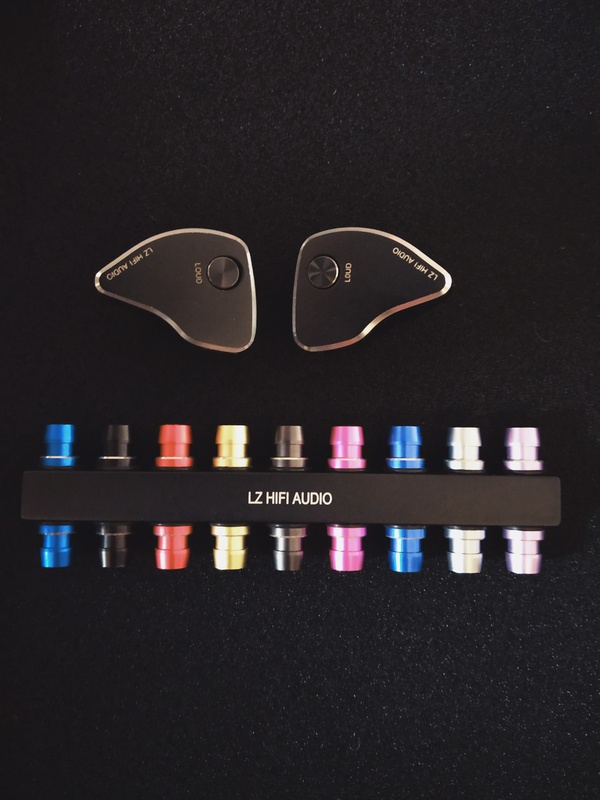 And LZ IEMs offers better depth and treble extension. FLC8n Another model with tuning options, but tuning here is more precise, as you can separately tune bass, sub-bass, and middle/treble ratio. FLCs are a bit more resolving on mids, but the extension is better on both ends with A6. LZ created a really potent model with a technical and engaging sound that will please many fans of representation that balances between fun and realism. My background- I am a professional musician, producer and audio engineer with experience in the performing, recording and pro-audio industry. I test products on a technical and musical level and try to write reviews as simple as possible from a music fan's perspective. Disclaimer- I would like to thank Penon for sending me a free sample for a review. I am not affiliated with LZ or Penon in any way and write this review with my best unbiased opinion regardless of how the review turns out. Genre preferences- I majorly listen to rock, acoustic, pop and metal genres and occasionally checkout EDM music which is doing the rounds on the radio and charts. Build Quality- The build quality of the LZ A6 looks very good with the shells being made up of metal. The shells are polished for a nice smooth feel. They have a good weight to them and look like they are solid and sturdy enough to bear decent abuse. The filters are also made up of metal and probably can survive several rotations over years. The 2-pin cable has a rubber sheath. The L & R cables after the split are slightly microphonic, though the cable does it's job and the IEM sounds good with it. I tried the A6 with other 2-pin SPC and OCC cables, and it sounded good with them too, so you can probably upgrade the cable if you don't like this one. 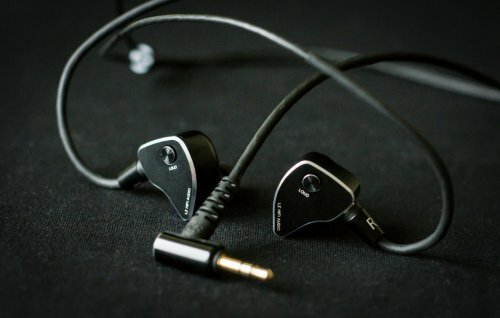 The Y-split and chin slider have the same design language as the IEM and look really good. Fit and Comfort- For me, the shells protrude outside my concha and only the nozzles go in. The default tips did not fit me and the cable somehow kept pulling the IEM out of my ears. I tip rolled to search for the right ear tips that gave me the best fit and isolation. There are quite a lot of ear tips provided in the package. Below is a picture of the ear tips I finally settled on. Once I got a decent fit with those ear tips, the shells felt light and remained comfortable over long periods. 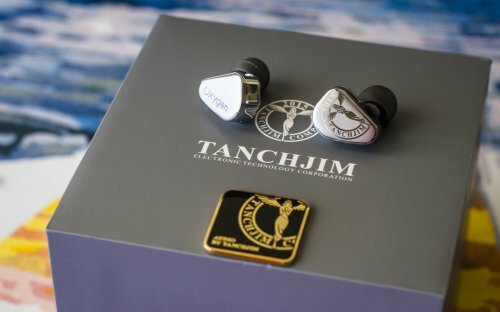 The isolation and fit isn’t like semi-custom IEMs available today, so they don't isolate outside noise by a lot of dBs and might not be the best choice for noisy environments. But for home usage, they should work absolutely fine. Filters - Below are my short notes on the sound signature of the filters. Adds even more treble to the default BLACK filter, makes the signature honky with lots of treble. This one is not for me. Default filter. Good airy sounding but missing some bass slam. Less Treble as compared to BLUE but still boosted more than I like. Makes cymbals sound thin and washy. Better balance as compared to GOLD. Cymbals sound good and bass is controlled but focus is still towards treble. Favorite #1. Best tonality, great clarity with good bass slam when needed. Further reduction in treble as compared to GOLD. A little mid honky sounding for my tastes. Favorite #2. Good clarity with decent bass. Just slightly darker than PINK. Favourite #3. Most amount of bass. A bit of treble clarity is lost but bass is relatively big and prominent. Sound- LZ A6 is quite difficult to review since it has a lot of filter and sound signature options, so many that you’ll just be screwing filters in and out for the first few days. Haha. I’m going to keep sound impressions relative with the PINK filter as the reference because I personally liked it the most. They have good bass while still keeping the IEM open, clear and airy sounding. Bass- RED, PINK and PURPLE are the bass filters for their respective groups. Group A signature has the most amount of treble, so RED adds a decent amount of bass attempting to balance the treble. It does a good job and you might like it for what it does. PINK filter has the best tonality with levelled bass relative to the treble. There is good bass while the focus is still on treble and clarity. PURPLE will suit the best for people who want more prominent bass with lesser treble character. With PINK filter, the bass is nice and prominent with good clarity and definition in track like Green Day’s Boulevard of broken dreams and Jesus of Suburbia. You can hear the overdriven bass very clearly in the track which a lot of IEMs cheaper than A6 don’t portray well. There is a good distinction between different frequency ranges with this filter which enables bass to have its own nice space in the center. Mids- With the PINK filter, mids in totality have very good detail and clarity. They are on the thinner side and have very good resolution. The focus is again on good definition in the mix. In busy mixes like Jesus of Suburbia and Galway Girl, all instruments have an individualistic presence. Acoustic in Galway Girl sounds crisp with snappy attack and Ed’s vocals have a lively presence. Piano in Coldplay’s Everglow sounds warm but with nice attack. Chris’ vocals on the track sounds nice and intimate, how the track intends for it to be. Distorted guitars in tracks like Foo Fighters' Pretender and Everlong have very good tonality and definition. They don’t sound like a wall of noise, instead are well defined in their own space. Treble- Treble clarity, definition and resolution is the strongest suit of the A6. It can go from piercing treble to a warm-ish sound through the whole range of filters. I have described the treble character under each filter above. With my reference PINK filter, acoustic and orchestral instruments have great clarity with a nice sheen on top, distorted guitars have nice presence in the mix and the kick and snare have good attack. All in all, I like this aspect of the IEM quite a lot but it's effect and quality is completely dependent on the filter. I like RED, PINK and SILVER for the kind of treble I like. Soundstage, Imaging and Separation- LZ A6’s soundstage is wide and open which allows instruments to have their nice own space. It probably has the widest soundstage out of the IEMs I have tried in this price range and on the whole is more than the average size. Imaging is also very good and instruments are well placed in the mix. Separation is good too because of a wider soundstage but the amount of separation quality depends on the filter you choose. 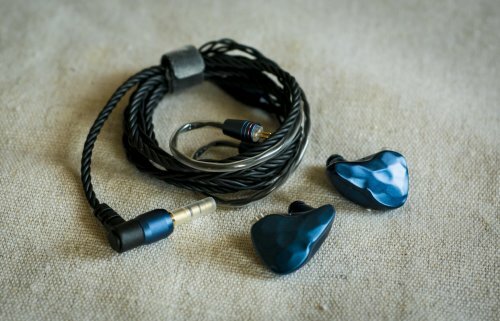 Conclusion- LZ A6 is a technologically advanced and driver rich IEM which uses 3 different kinds of drivers which are tuned to put out the frequency bands that they are particularly known for. It is quite unique and I was particularly intrigued by its tech setup as this is the first of its kind that I have come across. After going back and forth between all the filters, I can sum it up as an IEM for people who like treble and airiness with good detail and separation in the mids. The focus is towards a nice open sound field in which clarity is the key player but there is also good bass definition in some filters. It is not a neutral-ish IEM at all. It is energetically tuned to color the sound. There are a lot of sound signatures to select from and you won’t be disappointed in that regard at all. Try it out for its uniqueness and tech advancement. hakuzen, jant71, rayliam80 and 1 other person like this. 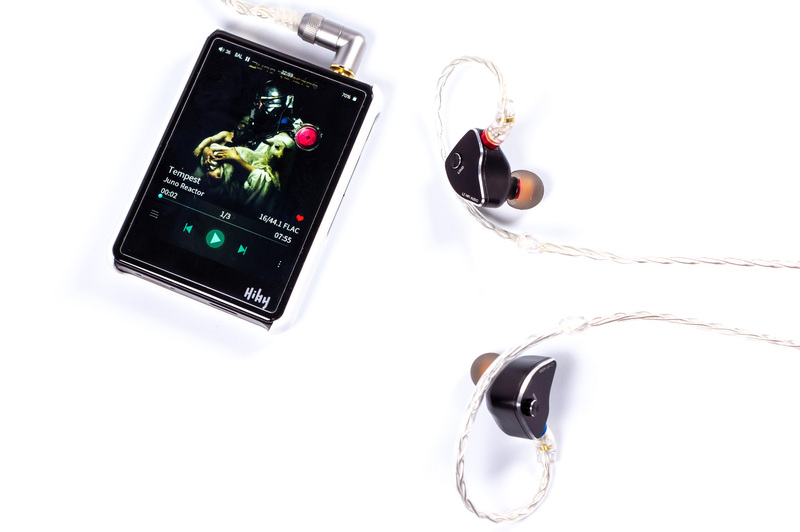 Short after release of very capable and bright A5 IEMs, young but ambitious LZ HIFI Audio brand presented their new products — A6 and A6Mini targeting totally different budgets. New models share the same 7 layer piezo-electric ceramic extra-high frequency driver along with 10mm dynamic woofer. A6 goes beyond that and offers the additional two mid range BA + two treble BA units and mechanical LOUD switch to change bass and treble impact at lower volumes. We’ve got a chance to test both models, starting with A6 as the most advanced one. And yes, we’d surely compare its sound to the previous A5 IEMs but only if we would survive during very complicated and time consuming test of highly sophisticated A6 IEMs. 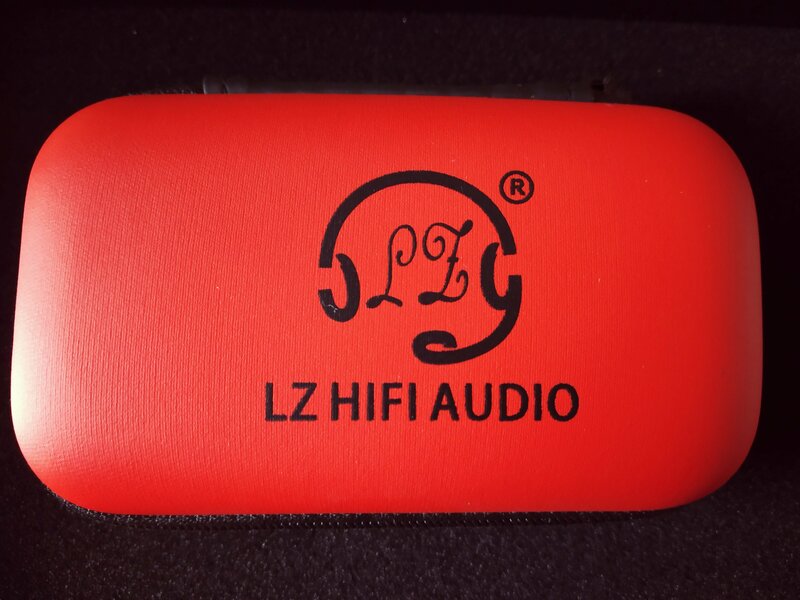 Just to remind about LZ HIFI Audio — it is a small company located in ShenZhen, China. 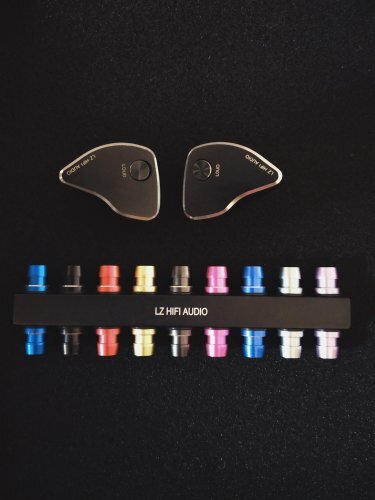 Domestic LZ brand popularity came with the release of LZ-02 IEMs that gathered further positive feedback and demand from the western part of the world. Currently, LZ HIFI Audio protfolio consists of 6 products and LZ A6 & A6Mini are their latest models. As stated in the technical specifications and as seen on this graph — nozzles are split into 3 different groups and having 3 subsequent tuning option. A group represents specific frequency response range determined by the change of inner nozzle diameter. Each nozzle option inside the group has different acoustic filter mesh. Switching from +3dB of group A to -3dB of group C should produce quite a change in the frequency response and tonality. Let’s get back to that after examining the exteriors. 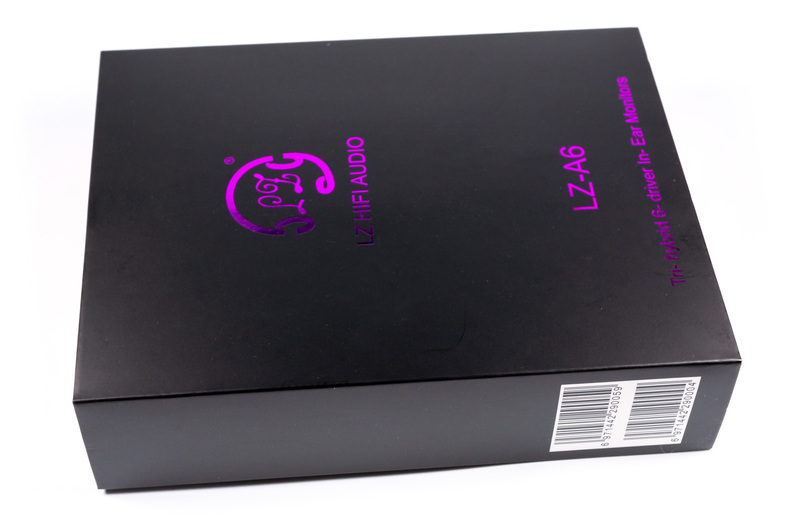 Seems that LZ HIFI Audio brand has changed the approach towards packaging design all around. 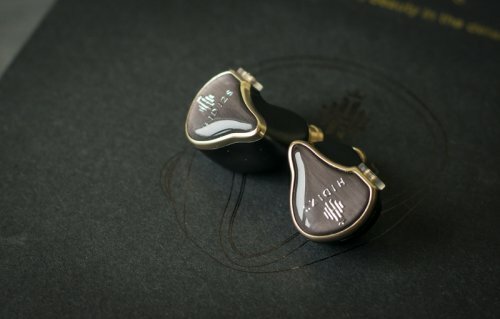 Unlike the previous model, A6 IEMs box has the additional black outer cover with shiny purple brand logo, model name and short description imprints. Back side contains company name and address. Cover aside, box is orange now and has only brand logo printed on it. Box inner compartment is split into two layers with top inset holding IEMs and bottom compartment containing storage case along with several accessory boxes. Pretty standard list of accessories if not taking into consideration 9 pairs of output nozzles. This set has expanded in comparison to A5 tuning options that had only 4 nozzles to choose from. Storage case is always welcome to provide long lasting life for your IEMs. 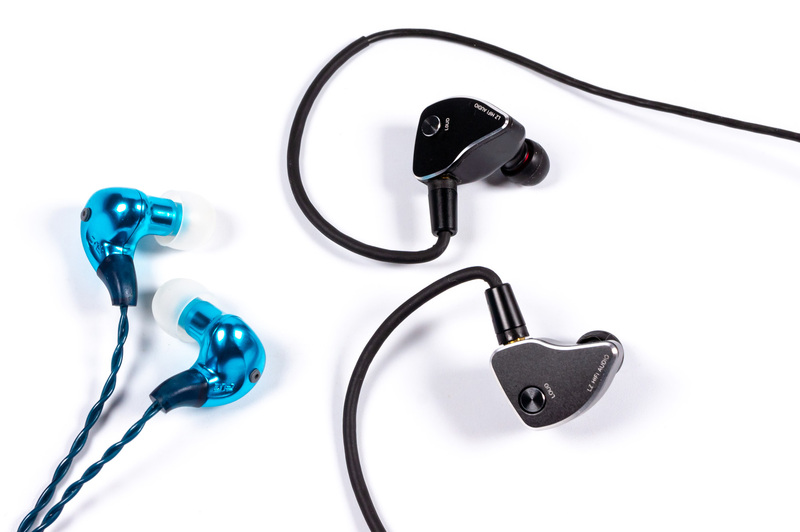 A6 IEMs are made of two parts — top aluminum cover and base (perhaps — steel). Parts are perfectly aligned, the gap is hardly visible. Top covers are matt black with rough finish, contain neatly printed brand name and LOUD button label. LOUD button is also located here, closer to the back side of the shells. It is made of aluminum, doesn’t rattle and has pretty large travel: protruding ~0,5mm from surface when pressed and ~2-2.5mm when depressed. 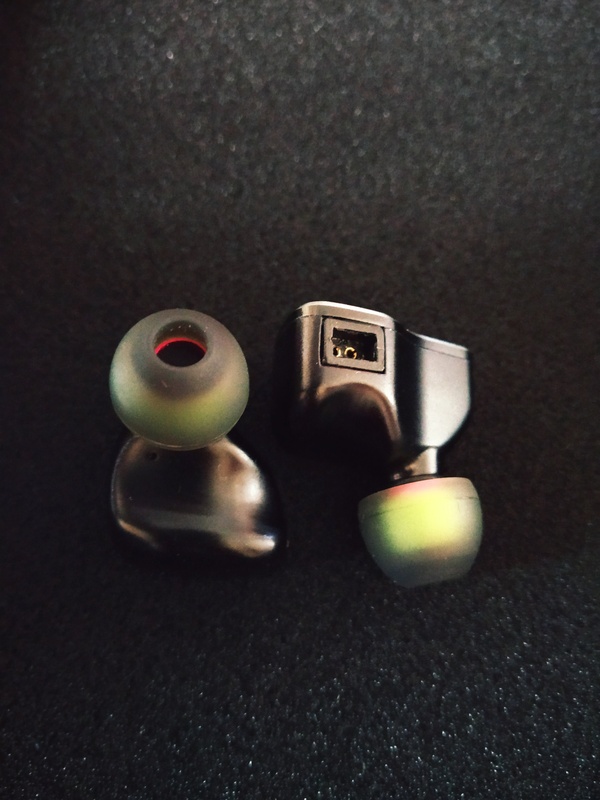 IEMs bases are black with glossy finish and have a single compensation opening close to the nozzles. Nozzles are made of alluminum, have threaded type of connection and rubber seal to protect dust and moisture from coming inside the thread. 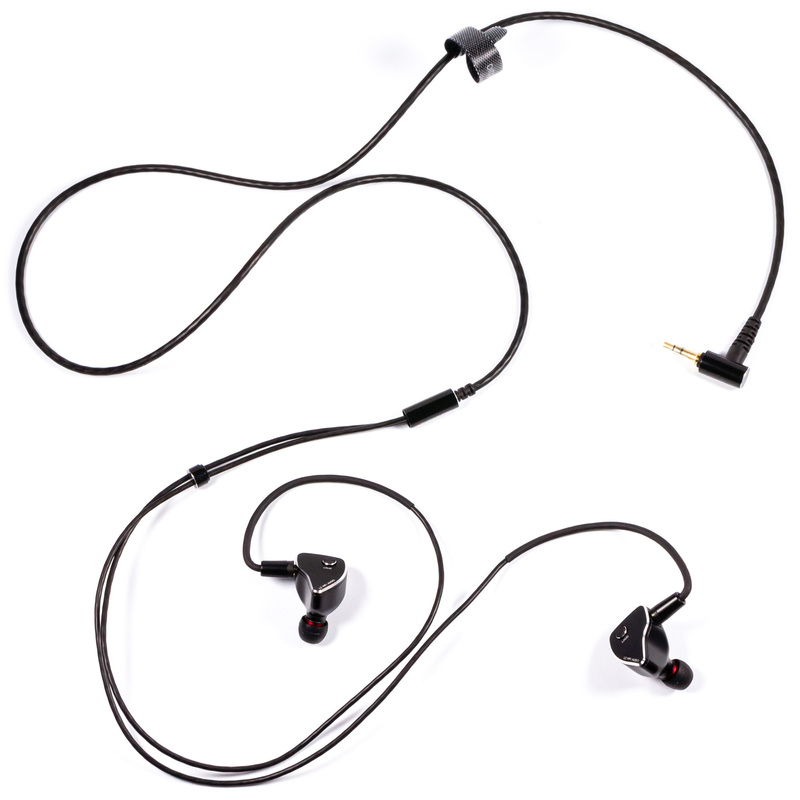 A6 nozzels are interchangeable with A5 IEMs — same thread diameter and pitch. MMCX (or 2-pin, 0.78mm) are located at the top edge. No free play here. 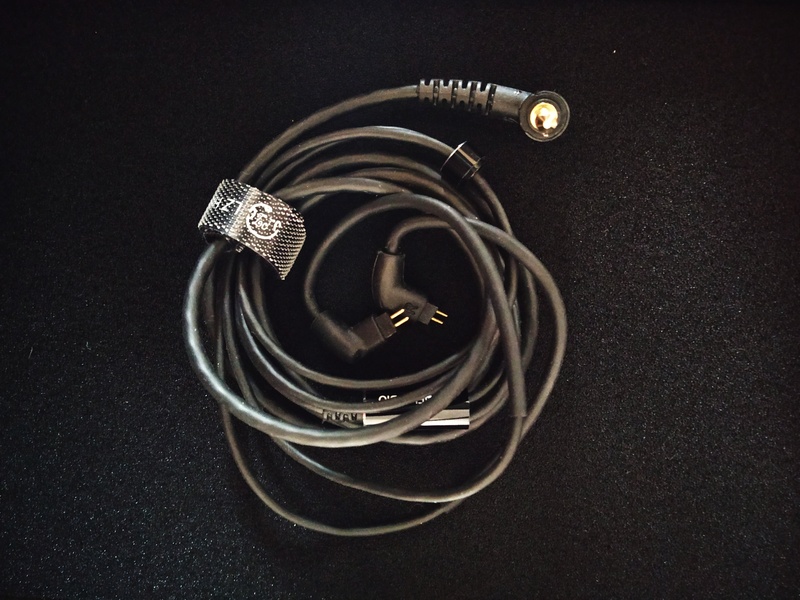 Stock cable can have either MMCX or 2-pin, 0,78mm connectors depending of customer choice. All cable elements are made of aluminum — Y-splitter, limiter, connector housings and L-shaped 3.5mm jack housing. 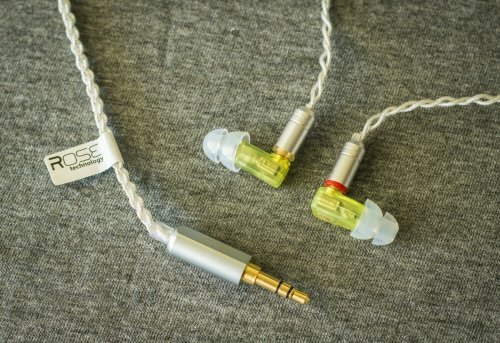 Connectors do feature channels indicators but there are no corresponding indicators on IEMs. 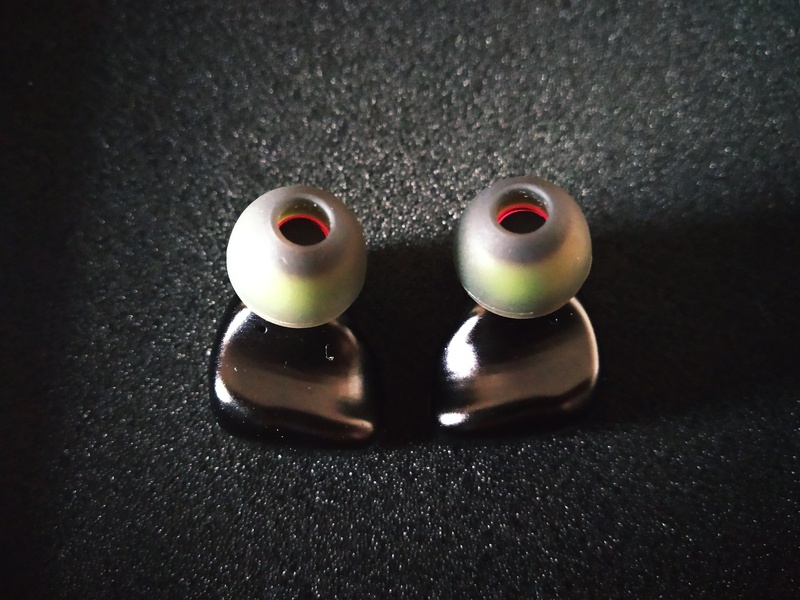 Anyway, further identification is an easy task due to specific IEMs shape and fit. We like A5 cable more for two reasons: soft braid and earguides that would hold any given shape. A6 cable is packed in more stiff silicone braid while the earguides are springy. In terms of fit comfort we’d prefer A5 over the newer A6 model. The shape of the latter is not so natural, A6 weights more and are kind of thick. Finally, we could get used to that and find the best position but it would be much easier if the earguides would be helping better by holding the desired curvature. Consequently, the level of noise isolation is kind of average if not less. Better ergonomics of the previous model cuts off the incoming noise more effectively. Tested with Hidizs AP200 + AP80 DAPs and Group A Red nozzle, LOUD ON. Deep bass shows high amount of textures no matter which nozzle is currently in use but at the same time is highly dependent of the LOUD button position. It feels more enveloping and significantly expands the soundstage with LOUD ON while being more dry and narrow with LOUD OFF. This effect is further pronounced when changing from Group A to Group C nozzles. Bass amount and presence are not overwhelming, neither it is accentuated. Сontouring is precise, good layering allows to distinguish different instruments performing in this range. Subbass reaches good depth whereas bass is more than adequate to balance and accompany other ranges. One peculiar thing is that lows here remind us of full-sized open back headphones with more airy and transparent presentation, especially with Group A nozzles. Group C, Purple nozzle would show more compact and tight bass, narrowing the soundstage and reminding of closed back headphones sound. Midbass section is adequately articulated, full-bodied and powerful. Drum sections sound very natural and engaging, creating a good feel of overall dynamics. There are no audible coloration produced by excessive treble extensions or significant change while using different nozzles which means that this range is perfectly weighted and tuned by crossovers. Mids are more upfront than lows and take the leading role on the stage. Unlike the previous model, A6 male and female vocals are kept almost at the same level and sound similarly close to a listener. Resolution is more than the average with large amount of micro details on both — voices and instruments. Together with excellent layering it made possible to distinguish some instruments in our favorite tracks and find them more perceptible than we thought they were. There is no excessive harshness on upper mids, but the overall tonality feels very bright and sound is prone to sibilances with Group A nozzles. This group adds the colder crispness to string instrument or female vocals and producing a bit thin sound in overall. LOUD ON would bring back the thickness, resulting in wider spread and more body to each instrument or voice but with no further change in the tonality. Switching to group C, -3dB would change the perception by cutting off most of the sparkles and giving the mids a touch of warmth. Sibilances are much better controlled or at least should not draw much of attention. Going back and forth with different filters give obvious influence to the overall tonality. Very good chances to find the most suitable sound thanks to a plenty of options. One more thing: A6 are the first IEMs to show that extensive drive and articulation of string finger pulls which are more common for midbass rather than mids… All in all, mids are musically rendered and can vary from very emotional and thin to thicker, more accurate and natural. LZ A6 sets the new standard concerning treble range extension, speed and resolution. Extension is significantly expanded which makes us believe that additional piezo-electric driver used in this model contributes much to reach such exceptional result. The amount of micro details is overwhelming leaving most of the IEMs that we have tested before far behind and creating the feel of immense transparency. Even A5 treble feels a bit simplified when directly compared to A6 during our A|B tests. Group A Blue filter is excessively bright and crisp, highly accentuates treble and bringing it to the very front while Group C filters remove anything too biting, not reducing high resolution and equilizing treble to mids. In fact, Group B is actually very close to A5 treble presenation but the impact of going from -3dB to +3dB is more evident. Plus you have three more options to decrease its gain and extension. This range can vary from icy, sparkling and very crisp to more neutral, softer and less emphasized behavior. LOUD was always ON during our treble tests to reveal the full potential. LOUD OFF kind of conjests this range making it less extensive and coherent. Soundstage width greatly depends of the LOUD switch. The widest stage is perceived with LOUD ON — it gives more than average spread of instruments on horizontal and vertical planes in which bass and mids create the depth and treble helps to define vertical domain. Distance of certain instruments from the center in regular tracks is more than the average as well while special binaural recordings are very pleasing to listen to due to significantly enlarged spread and precise positioning. Button presses result in immediate change in sound. You can have one channel with LOUD activated and the opposite one without. Not sure whether such possibility is safe for the source but we haven’t damaged anything up to this moment. User manual doesn’t state anything about that. The best and safest way would be to switch LOUD ON|OFF before connecting IEMs to a source. Another reason for doing it this way is the excessive force that should to be applied to push the button. Not the best feeling while wearing IEMs. LOUD actually works as GAIN (amplification of a signal) and could have been called this way to remove some misunderstanding. Our personal perception is that LOUD can stay ON forever and LOUD OFF is the option that vast majority would leave aside. Or wise-versa… Why wise-versa? Because the manual states that LOUD is ON when button is depressed but we think that this is a mistake and should be other way around — sound gets amplified when button is pressed. Therefore, if the impedance goes down (LOUD ON) the volume rises. Anyway, maybe, technically, LOUD changes impedance, frequency response, sensitivity… but perception-wise it gains mostly in lows and little bit in treble while making the soundstage wider and more satisfactory to our ears. Our testing DAP — Hidizs AP200 has 130mW output power which is enough to drive either 40Ω or 20Ω loads to the appropriate levels but we feel that LOUD OFF is producing kind of underpowered and narrow sound to our personal liking. One more thing to mention is that the background noise at mid to lower volumes gets more apparent with LOUD position at ON. Of course, gets barely noticeable at higher volume levels. LZ A6 sound is very hard to describe by a single phrase. Its sound characterisitcs and tonality change with different nozzle options and LOUD position. Lets say that sound can vary from only slighty accented on upper mids/lower treble to very sharp and bright. High resolution, great texturing of lows, perfect layering and exceptional treble extension would remain constant regardless of that choice. The planes of treble are also changing from very upfront to a bit laid back. LZ A5 IEMs are more evidently U-shaped even when compared to Group A A6 filter set. A5 lows are more pronouced, less contoured and less textured while treble is at the same level but not catching up with the extension and micro details of A6. With Group B filters applied to A6 we can get very close to A5 sound tonality and overall presentation but A6 would still be better balanced IEMs due to less impact on lows. Group C would force A6 to sound significantly less sparkling (or more neutral) than A5. On the other hand, A5 has much better fit, almost as exceptional treble extension (and much more extended compared to many other IEMs), more pronounced bass and lower price. If only you can get the same filter set for A5 (which we think might be sold separately by PenonAudio) — this option would be quite competing with its own advantages and variety of additional tuning options. Bassheads might also vote for A5 for its obviously elevated lower range. 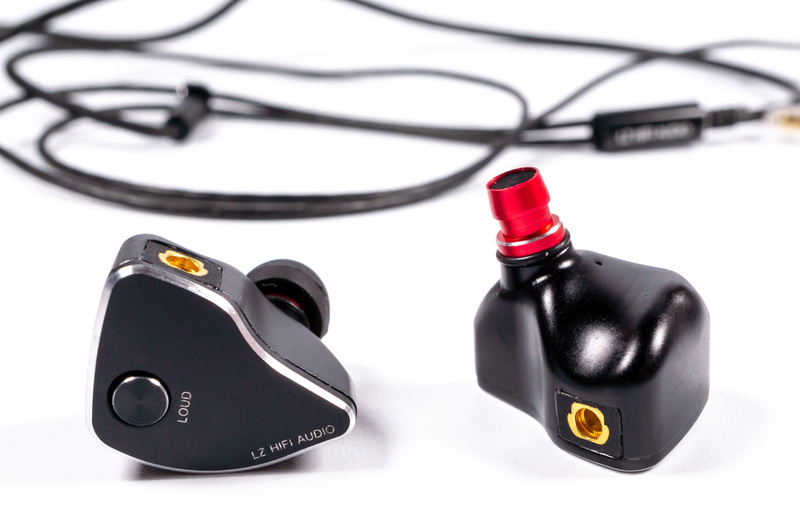 LZ HIFI A6 IEMs are great perfomers concerning the combination of its decent sound quality, technological advance and the variety of further tuning options. Buying a pair is kind of securing audio fan from an improper purchase — there would always be a possibility to tune the sound to own liking, changing from bright and crisp to more balanced, closer to neutral tonality. Other sound characteristics like treble clarity and extension, bass texturing, instrument separation or overall resolution are either setting the new standards or have very adequate performance. Definitely the new benchmark for various aspects in our collection and one to consider while searching for remarkable sound quality. zikarus, Sebilion, FastAndClean and 3 others like this. Great review - thanks! This one is on my short list. I bought the LZ A4 based on early reviews and it didn't disappoint. In fact I bought a second pair used here on Head-fi. They're all I listen with when out and about. I'll have to give these a go when I have the money available. Thanks again! Good old LZ still going strong. I loved the 'imperfect' LZ-a2 way back....so rich and full and musically immersive. He needs to upgrade that red case to something else...it does not match the price-point and grade of IEMs now...and that black and purple case...kind of off-key tones.